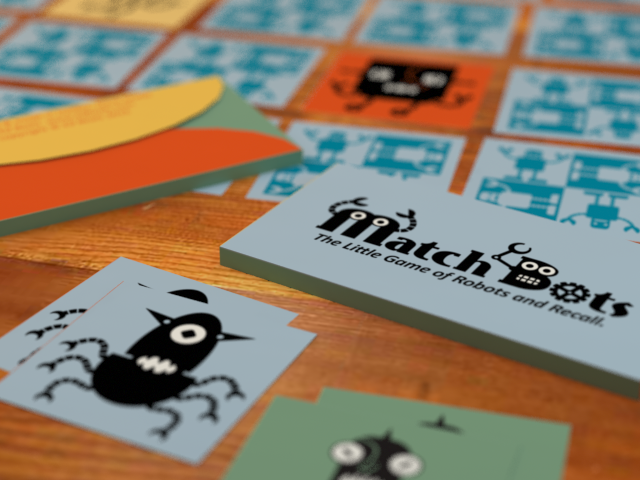 I’m currently working on the first batch of Match Bots games for release in March 2015. The fun part, designing the cards, the box, and the logo, is finished. The prints are back from the printers and now the cutting and folding begins. I’ll be going through lots of X-Acto blades!